Convert the top plate on your X2 gimbal to fit your Flame Wheel. 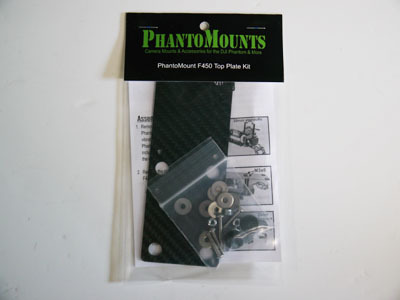 These top plate kits will allow you to mount your PhantoMounts X2/X2 Wide gimbal to a variety of different air frames. All hardware for converting and mounting your gimbal and instructions are included.